“Waupaca” is an Indian word believed to come from “waubuck seba”, which means pale or clear water. Chief Wapuka, a Potowatomi chief who lived in the area, may also be the source of the name. The first non-Native American settlers came to the Waupaca area in June 1849. They found a beautiful piece of land that the Indians called “the falls” on the Waupaca River. Menominee and Chippewa tribes had campsites throughout the area, including the sites of today’s city hall/library and South Park. By 1852 a post office had been established and the settlement was officially named Waupaca. The Village of Waupaca was incorporated with the election of a president and trustees on May 4, 1857. The City of Waupaca was organized on April 6, 1875. 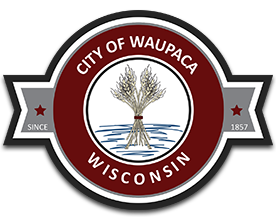 Today, the City of Waupaca has more than 6,000 residents and 25,000 people living within 15 miles of the city.